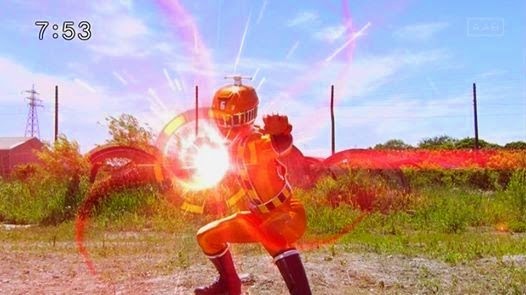 Here is ToQ 6's first transformation in this week's episode of Ressha Sentai ToQGer. Ressha Sentai ToQGer episode 17 is entitled: The Sky After the Rain "Ameagari no Sora ni" (雨上がりの空に). The Conductor reveals that he has commissioned the transformation items for the sixth ToQger, and a Rainbow Line maintenance worker named Zaramu, a former member of the Shadow Line, has been chosen to be ToQ 6gou.